Pets need regular dental care just like humans. Dental problems can lead to health problems for your pet. However, pet parents only come to realize this when it is too late. At The Brentwood Animal Hospital, we offer pet oral care to keep your pet's teeth clean and healthy. 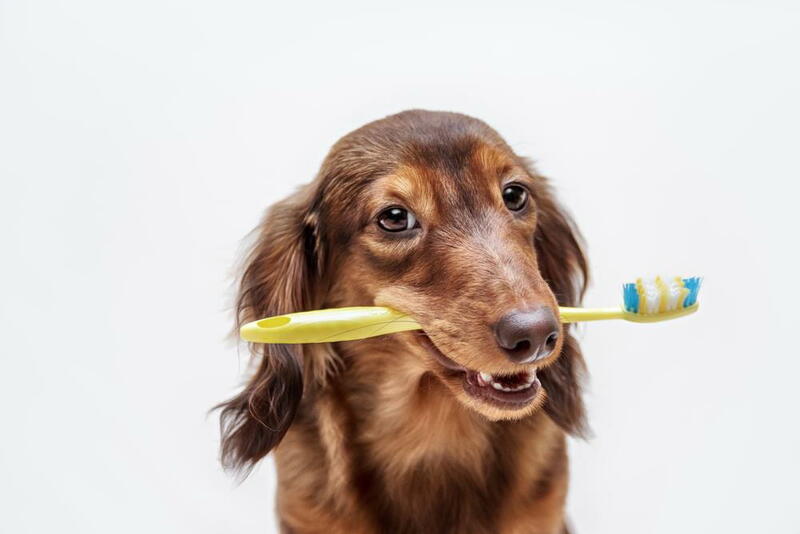 Our Pensacola veterinarians can handle oral care for all of your pets, and we even offer urgent pet care if your pet needs dental attention right away. Oftentimes, a pet who is having problems with their teeth or gums will avoid eating or eat gingerly. Pets might not show interest in favorite chew toys if chewing causes pain. They might paw at their mouth and drool more than what is normal. Looking into your pet’s mouth, you might notice yellowing of the teeth, tartar near the gum line, swollen gums, and stinky breath. These are all signs that your pet needs to see the veterinarian for oral health care. Giving your pet hard plastic chew toys can help to keep the buildup of tartar to a minimum. You can also use a home teeth cleaning kit in between regular cleanings with your veterinarian. Additionally, there are also additives that you can put in your pet’s water to help break down tartar and plaque that may build up between cleanings. Contact The Brentwood Animal Hospital in Pensacola at 850-434-2646. Make an appointment for a pet dental cleaning or any of our other veterinary services.